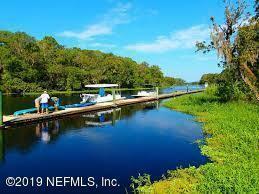 Beautiful waterfront commercial property with 2 parcels totaling 78.19 acres! 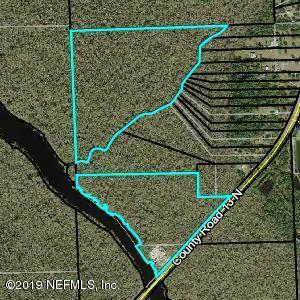 Parcel 1 @ 66.79 acres; Parcel 2 @ 11.4 acres. Approx 2 acres of uplands. 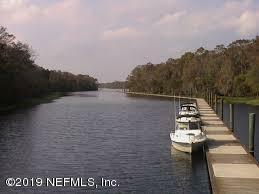 Great location directly on deep water Six Mile Creek to the St Johns River and Bartram Trail Scenic Hwy 13. Home of a previously very successful and well known river front restaurant Outback Crab Shack at Six Mile Marina. Serving the community for 30+ years! DOCK and direct Water Access! 1500 feet of floating concrete dock for boats of all sizes. Permitted for up to 54 boats at one time (~30' long each). 15 feet depth of water along dock. 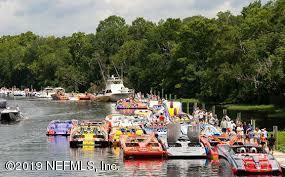 Submerged land lease transferable is 16 feet wide by 1500 feet long; Additional 110 ft dock section already permitted. Also listed as Commercial Vacant Land MLS # 974125.